Many families end up in severe financial trouble by underestimating the amount of money that they require to live from month to month, over and above their mortgage, maintenance, utility, taxes and other household-related expenditures. The general rule of thumb is that your monthly housing payments should not exceed one third of your gross monthly income prior to deductions. Many experts advise that to ensure greater tranquillity and security, the payments should not exceed one quarter of the gross monthly income. The mortgage lender will take your income and other ongoing monthly expenditures such as credit card and car payments into consideration when calculating your ability to repay the mortgage loan, referred to as the Gross Debt Service Ratio and Total Debt Service Ratio. The result of this calculation will be a determination of how much money the lender believes that they can responsibly lend to you. The single most important mortgage factor is the percentage of the down payment. 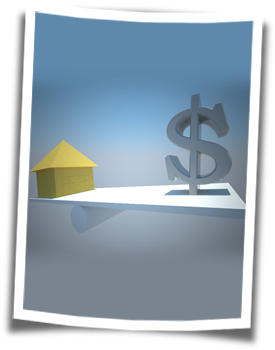 Lending institutions will require you to make a substantial down payment on the total purchase price of the home. Traditionally this down payment was expected to be between 20% and 25%, but with the assistance of the Canada Mortgage and Housing (CMHC), this amount can be set to 5% or even less in special cases. Home buyers should be aware that increasing the amount of the down payment is the best way to minimize ongoing monthly costs during the term of home ownership, as not only will the total amount of the mortgage be less, but most lenders will allow for lower interest rates on lower ratios of mortgage loans to the value of the home.